Ball end earwires – BOGO sale! 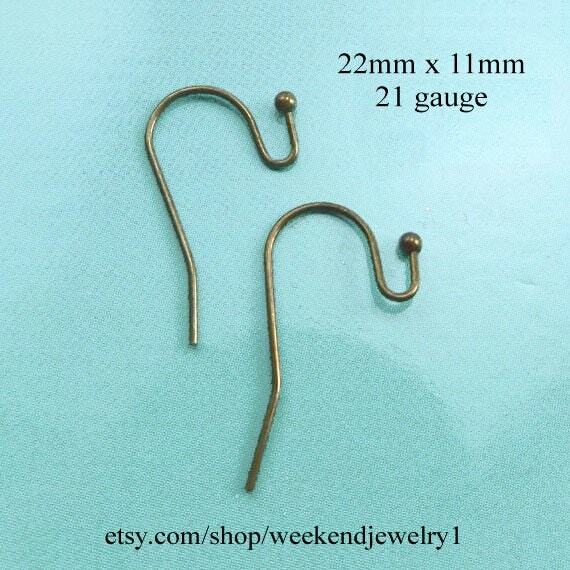 These “ball end” earwires are easy to use, in a popular antique bronze (brass) finish, and way affordable! And right now, they’re on sale in my shop. Of course this basic idea can be adapted in all sorts of ways. Customize with birthstone color glass jewels (inexpensive but gorgeous!) Or change the filigree connectors for a different style or color. The thing is, you can make it totally your design – and still have easy to make, inexpensive DIY earrings or pendants. Just in time for Christmas gifts! Just a quick note this morning, to wish everybody a happy Thanksgiving – I hope you’re spending it with family and friends – people who make you happy. End of commercial – back to your regularly scheduled fun Thanksgiving! There’s still time to get some pretty golden topaz rhinestones for your November birthday gifts (well if you’re in the U.S. anyway… it’d be a bit of a stretch for overseas). And using the birthstone color is a simple, pretty way to personalize your jewelry gifts! Yes, it seems almost too good to be true – add leverbacks or french earwires and your DIY earrings are ready! (And if you need clip-on earring components just let me know, we can do that). These beautiful glass jewels are vintage rhinestones I found a while back and was lucky enough to be able to restock – not always possible with true vintage. I love this sheer, clean color – peridot green without too much “lime” in the green – a super flattering shade and a customer favorite. These are probably the most popular style jewel I have available – teardrops that are large enough to be fabulous for earrings or pendants – but not so big they’re too heavy. 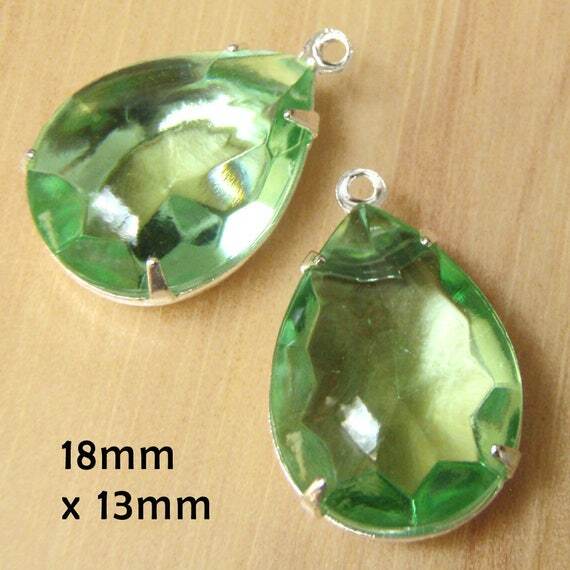 These are 18x13mm teardrops – that’s approx. 3/4″ x 1/2″. 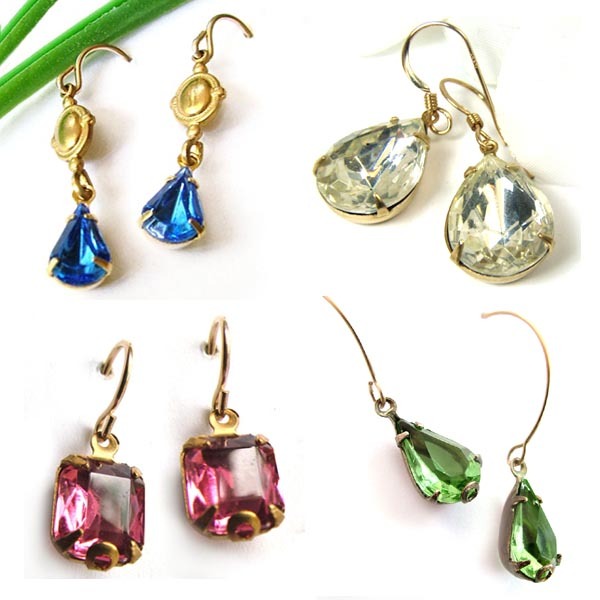 These make wonderful Christmas gifts – and if you need gift earrings for an August birthday girl, these are her birthstone color!